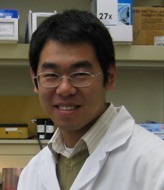 Dr. Zhang studied medicine at Peking Union Medical College in Beijing. His internal medicine residency was completed at Peking Union Medical College Hospital, where he currently serves as Chief Resident for the Department of Internal Medicine. His fellowship in infectious diseases will start at the same institution in late 2008. His current areas of interests include caring for patients with infectious diseases, applying interferon-based immunodiagnosis of tuberculosis in the Chinese population and providing health care in areas with limited resources.